So, you’ve finally made it! The combination of your passion for food and entrepreneurial spirit has finally translated to reality with your very own café. You are now ready to open your doors for business. Congratulations! No doubt you have all the nuts and bolts of running a café figured out since day one of your business planning. With the launching of your establishment, you have reached the next phase of the business journey - building your brand, promoting your business’ value through menu and services, and growing your customer base. 1. Expand the revenue stream from offsite customers. 2. Using the third-party delivery platform as a marketing channel. 3. Attract customers from the millennial demographic who value convenience and instant accessibility. 4. Forego the need to hire, train and manage an in-house delivery fleet. As an on-demand delivery provider that delivers items of all shapes and sizes, Lalamove has established a footing in the local food delivery scene since its inception in 2018. One among the many beneficiaries of Lalamove’s food delivery segment is Charlie’s Café; a small independent café tucked in the neighbourhood of Taman Bukit Desa. Charlie’s Café has been in the business since 2015 and is managed by its founder Desonny Tuzan and his wife, Debra Leong. 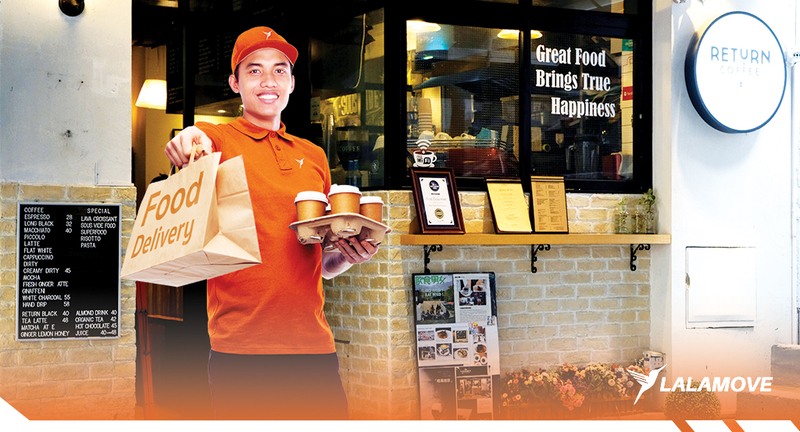 With 20 years’ worth of experience in the F&B industry, Desonny’s keen business acumen caught up with the shifting food delivery trend in tandem with consumers’ demand for faster delivery of food at their doorsteps. Instead of coming up with an in-house delivery fleet, which undoubtedly will take a big chunk out of his resources and time, Desonny relied on the comprehensive tried-and-tested delivery platform of Lalamove. Nowadays, Desonny hardly experiences difficulties in securing a Lalamove rider to deliver a pre-booked meal or to entertain a last-minute delivery request. 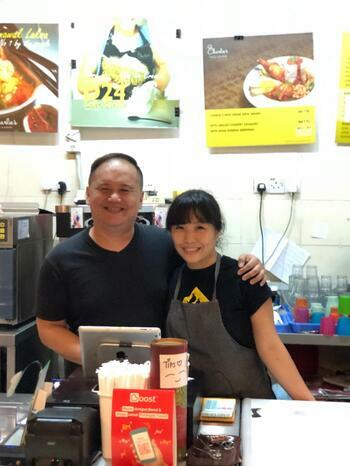 Since its partnership with Lalamove as its third-party delivery platform, Charlie’s Café has been able to scale up its business to meet the expectations that come with a growing F&B brand, thanks to its rave reviews of its signature chicken chop, Sarawak laksa, D24 gelato and "Pay-it-Forward" initiative for the needy. A few key features from Lalamove’s end contribute to the scalability of Charlie’s Café, such as Lalamove’s user-friendly app, integrated GPS tracking, and digital wallet. These features are the hallmark of an ideal third-party food delivery provider in this age of digital economy. It’s hard to believe that two decades ago, this scalability wouldn’t be possible without considerable investment in a private delivery fleet. However, as in things of days past, this scheme is being slowly relegated to obsolescence in the wake of mobile apps and sharing economy. Get in touch with us to learn more about scaling up your business with our food delivery.